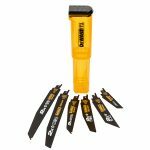 The DEWALT 2X Life Reciprocating Saw Blade 12 Piece Set contains a mixture of blade types for a wide range of cutting jobs and is supplied in a hassle-free, re-usable storage case that quickly and easily adjusts to suit the blade lengths. 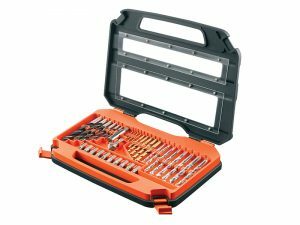 They have superior HSS (high speed steel) teeth with added Cobalt for harder, stronger teeth with greater flex for excellent cutting performance and long life even in the most demanding applications. 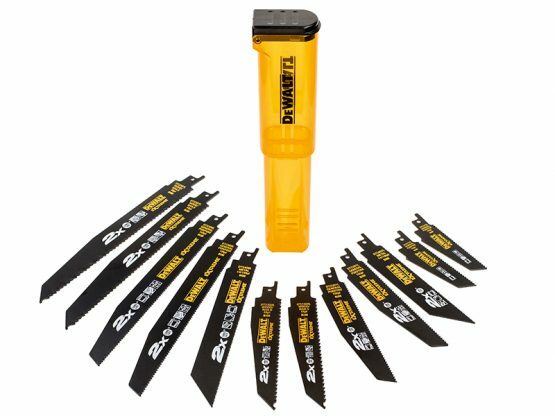 Fast and accurate cutting in wood applications thanks to the Plunge Point tip technology which pierces the wood and removes more material. The Metal blades have an optimised tooth design with a 14/18 tpi variable tooth geometry reduces tooth breakage in hard metals for extreme durability even in the most demanding applications. 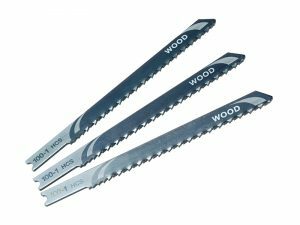 2 x DT2307L 2X Life Wood & Nail Reciprocating Blades 228mm, 6 TPI. 2 x DT2308L 2X Life General Purpose Reciprocating Blades, 10 TPI. 1 x DT2408L 2X Life Metal Reciprocating Blade 203mm, 14/18 TPI. 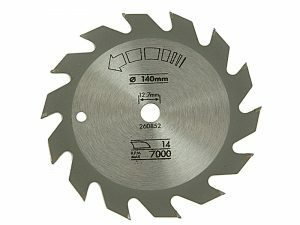 2 x DT2300L 2X Life Wood & Nail Reciprocating Blades 152mm, 6 TPI. 2 x DT2301L 2X Life General Purpose Reciprocating Blades 152mm, 10 TPI. 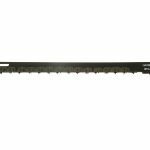 1 x DT2407L 2X Life Metal Reciprocating Blade 152mm, 14/18 TPI. 2 x DT2315L 2X Life General Purpose Reciprocating Blades 100mm, 10 TPI.